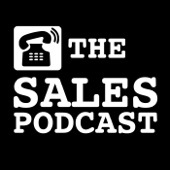 Sales podcasts are all the rage today, and, for good reason. As with every other profession, to stay at the top of your game, you need to keep learning. While that sounds splendid, many salespersons have little to no time to spend on innovation. Most of the time is usually spent chasing leads and assuaging prospects’ fears. As such, it’s nigh impossible for many people in sales to dedicate a fraction of their lives to other commitments. 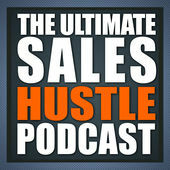 Thankfully, sales podcast can help you stay motivated through all the hubbub. Tuning in for a couple of minutes per day can help you stay abreast with the changing times in the sale world. The best thing about podcasts is that you can comfortably listen in while engaged in other activities. Some ideal times to tune in is during commutes, lunch breaks, and while taking a stroll through the park. These moments can prove invaluable in boosting your energy levels up a notch. There’s plenty to learn from other people’s experiences. You can learn about the latest sales strategies and receive cutting-edge industry insights. Such knowledge can prove invaluable as you seek to position your brand as a reputable voice in the world stage. Indeed, it wouldn’t be meaningful to listen in without taking the time to apply some of the insights learned. You need to carefully pick which strategies make sense to you, experiment with them, test, take inventory and optimize your operations. That way, you’ll be broadening your horizons and inviting more prospects into your fold. Importantly, it’s worth noting that there are numerous podcast channels out there today. Ever since Apple added podcasts to iTunes in 2005, the demand has hit the roof. Given the fact that there are currently more than 660,000 podcasts, finding the right sales shows to tune into can be tricky. We’ve however gone ahead and done the homework for you. 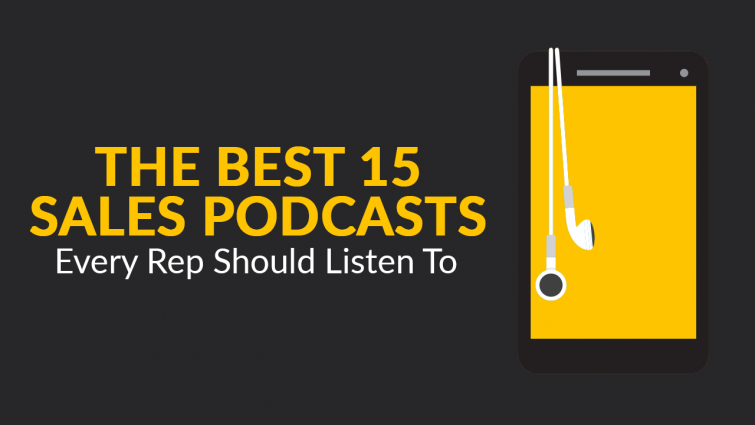 Here’s our list of the 15 best sales podcasts for your listening and learning pleasure. 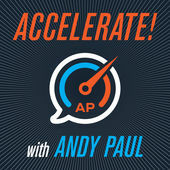 Andy Paul invites various guests to the podcasts and delves deep into different aspects of the sales world. Some of the popular topics on discussion include coaching, automation, and professional development. The podcast has gained quite a following because of the conversational tone of the discussions. While most of the fodder is serious engagement, they still retain an aura of personal touch. In most of the discussions, Andy and his co-hosts meander different ways to change a rejection into a “yes”. With trust being a focal part of the discussion, you’ll get plenty of tips on how to boost the success rate of a sale. Even better, there’s plenty of episodes to choose from. You can have your pick from the 700 episodes available for streaming. By tuning in to the show, you’ll expose yourself to plenty of stories from like-minded sales professionals. As the host, Steli Efti takes on different challenging issues in the selling world. While at it, he shares great pointers that sellers can use to overcome issues that arise. Given the fact that Steli Efti is renown as one of Silicon Valley’s foremost hustlers, you can take what he says with great conviction. The actionable advice borrows heavily from his interaction with various start-ups in Silicon Valley. After every listen, you’re bound to notice a considerable spike in your vigor. This makes it easier for you to go out there, prospect and achieve your goals. Since it’s all about developing customer relationships that last the litmus test of time, having an understanding of clients is important. The show will massively help you develop the right responses after noticing specific behavioral triggers. Each episode will help to answer the biggest question in business: How do you create predictable, repeatable and scalable success? We’re here to help, by introducing you to the tactics and practices that the best sales leaders use to drive head-turning success. Rob lets you know what you can expect from each episode and gives you his promise: you’ll leave each episode with new ideas to help you drive high growth with your team. His guests include some of the top sales leaders globally who are scaling sales teams at a rapid pace. 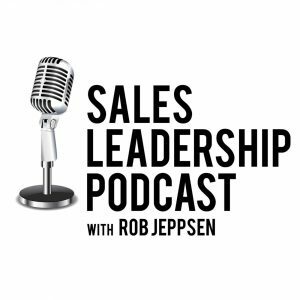 This is one podcast no sales leader wants to miss! The Sales Reinvented is on a mission to change the negative perception of selling. Each week they interview experts in the field of sales who their knowledge, ideas and expertise. Guests share their vision of a world where selling is a profession to be proud of. 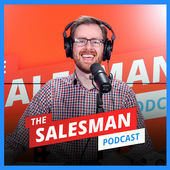 The aim of the show is to provide ‘snackable’ episodes that are short enough to listen to in one sitting but long enough to provide real value that will help you in your sales career. 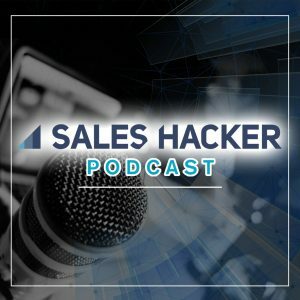 The Sales Hacker Podcast is carefully designed to give you tangible, practical insights about B2B sales. Every Tuesday, top VPs of Sales, investors, and founders will gather ‘round the sales roundtable to break down sales strategies, make you think, and help you deliver a gut punch to your sales goals! This long-running podcast recently marked a milestone occasion in 2019 with the release of its 1,000 episodes. Listeners have come to appreciate the podcast because it features a perfect mix of emergent trends, inspiring tales, and advice. The dynamic guests brought on by Donald Kelly also further add to the allure of the experience. On the show, they get to share great insights on how you can elevate your selling expertise to the next level. That way, you’ll be able to position yourself to achieve the income levels you have your sights on. In this podcast, top entrepreneurs, sales leaders, marketers, and sales practitioners share with you some of their most personal experiences. This podcast hits all of the points using a mix of humor and insights to keep you engaged during each episode. 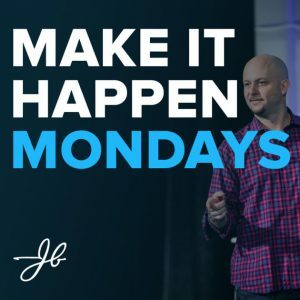 Recorded live on Facebook every Monday, John talks about all things sales and takes your questions. Subscribe below to get new episodes delivered while you sell. Topics covered include everything in the sales cycle from cold calling to negotiating and closing. John M Barrows interviews some of the top sales practitioners and leaders globally about real sales tactics that are working in today’s selling environment. Will Barron’s show is usually frequented by all kinds of guests. Olympic athletes, neuropsychologists, and sales experts are just some of the usual suspects to appear during podcast sessions. Together, they delve into various ways salespersons can make the most of their skills to boost performance. With an episode dropping every week on a myriad of topics, there’s so much can learn by tuning in. You can rewire your habits by copying what successful salespersons do. This can have a profound effect on how you carry out personal branding and the rate at which you close deals. The gamification concepts you pick up can also help improve how your sales team fairs. 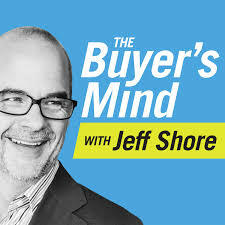 The Buyer’s Mind podcast with Jeff Shore is a B2C sales training podcast dedicated to helping you increase your sales numbers by understanding your customers in a deeper way. Whether you’re buying a magazine, a mobile phone, a new car or a new home, we all go through surprisingly similar thought patterns during a purchase cycle. 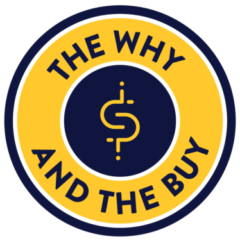 Jeff’s podcast is about the psychology behind those thought patterns—the obvious and subtle considerations that lead someone to buy (or often not buy) a product. 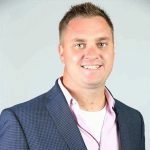 What sets Jeff apart from other sales trainers in his field is a continued focus on the experience of the the buyer, not the seller. There’s plenty to learn from Jennifer Gluckow, a LinkedIn networking guru and her bestselling counterpart, Jeffrey Gitomer. This duo inspects various popular practices in the business world. During their breakdown, they divulge some of the best-kept secrets business leaders employ to achieve success. The highlights reel includes a look into character development, skills training, and overcoming hurdles. The hosts focus on self-improvement topics. Every week, they take about an hour’s worth of listeners time to explore various ways to enhance careers. 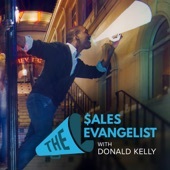 While this one of the best sales podcasts out there, it caters for various other audiences too. 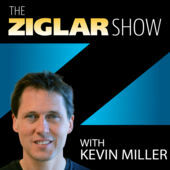 Most of the episodes seem to center on Zig Ziglar’s mantra. You can expect to learn plenty about the essence of meditation, purposeful procrastination, and positive peer pressure. Given the fact that you’ll be learning about the non-technical aspect of sales like storytelling, you’ll be better able to connect with prospects. In most start-up ventures, tales on product development and early years usually take center-stage. As rosy a picture as that seems, at the end of the day, it is the team’s performance that determines the fate of the establishment. 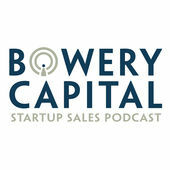 Bowery Capital puts an emphasis on the need for members of a sales team to pull together. This harmonious involvement of all parties is the number way businesses are able to see their productivity levels soar. Listening to this podcast will illuminate your life with tips on how to overcome adversity in your start-up venture. Having been in operation since 2014, there’s plenty of episodes for you to choose from. 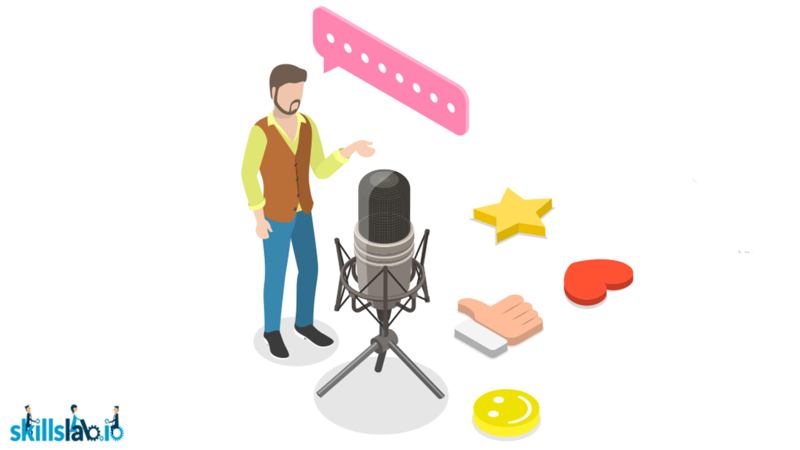 This podcast is largely unscripted and reviews some of the intricate themes of inbound marketing. They also provide an in-depth analysis of how to run online marketing campaigns, sales automation, and social media selling. Given the lengthy runtime, the show allows its guests to a lot of time to air their views. This can be quite impactful to various audiences when you consider the fact that luminaries are usually the mainstay on the guests’ bench. Marylou Tyler went from a top-notch systems engineer to a world-class sales engagement pro. 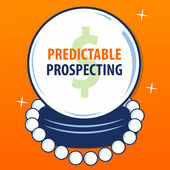 On her Predictable Prospecting podcast, she deliberates on some of the challenges facing B2B sellers and shares actionable smart solutions in lead generation, pipeline administration, and social selling. Most of her entourage involves industry leaders who divulge pragmatic solutions on the topics raised. This podcast has plenty of takeaways if you’re looking to steer your sales ship towards success. Having listed some popular sales podcasts, it’s time for you to experiment and see which one resonates best with you. Given the fact that about 20% of American adults are podcast listeners, it’s high time for you to jump on the bandwagon. That is of course, if you aren’t already. Feel free to share with us in the comments section which sales podcasts you love listening to!